Hi all continuing our work on DCEmu we have now closed the games reviews site and put everything back into one site, also removing the ads and so you have very much a pure independent reviews site. The UC-40 400 Lumens Two Colors Portable Home Mini LED Projector is as you can see from the photo and video above a small and compact projector that is available from GearBest.com for an amazing $45 or in British money £30 or thereabouts. Now obviously for that price your not going to get a top of the range all dancing Full HD Device, its just not possible for such a low priced projector. So when reviewing this projector you have to take in to the fact that price is the reason your buying this. Lets look at what options you have, a USB port, so any USB hard drive, flash drive etc can be connected to it and in this day and age most people are using USB for films and TV Shows so its a must have option. 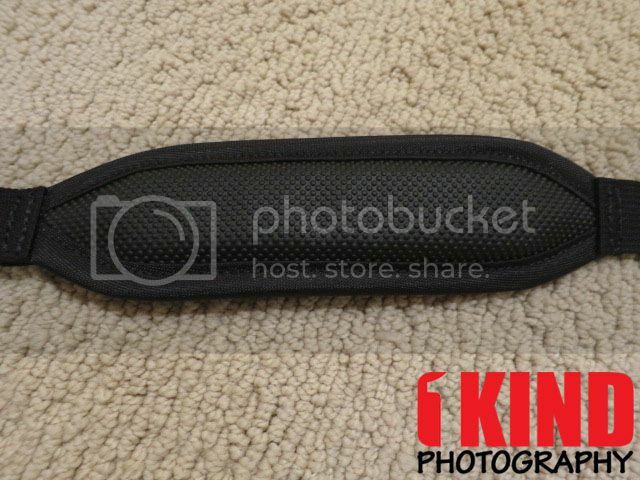 It also has an SD Card slot so again great for films photos etc. On the same side as the USB and SD Card Slot you have a AV Port which with the cable included you can connect devices that use a Video, Left and Right Cable, ill discuss more in a mo. On the other side of the projector you have the power port and an headphone socket, why you would bother using an headphone is beyond me but I suppose its a good thing to have. On the back of the projector is a VGA Port and also HDMI, so pretty much any device should be able to be connected to the projector. The Projector has a nice dust cap which is self explanatory and the focus can be altered to what you need via the lens on the front. Finally the top of the projector has an on/off button and several other buttons to go through menus, but most of us would use the remote control included so no need to use them unless your batteries die oneday. The projector itself weighs next to nothing so if your thinking of buying one then its good to know for shipping as its gonna be quite cheap. So that's the boring stuff out the way, if you haven't then please watch the video above, the resolution of this projector is 480 x 320 so yes its low resolution, one thing you must do is either use a plain white wall to project onto or a projector screen or a White Blackout Blind and of course dim the lights or make the room darker so you can see the picture. 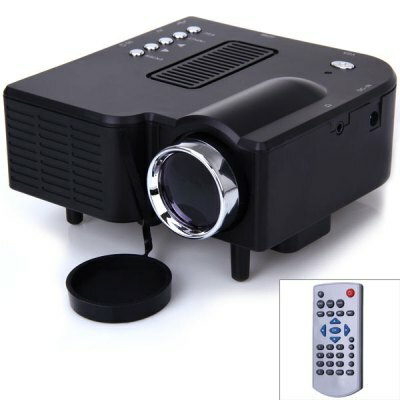 Don't expect HD Visuals from this projector, its important to remember that but if your someone who works in a business where your doing training and need a cheap and cheerful projector then this is great as a portable option for displaying text etc on a bigger screen instead of say a laptop screen. I tried via the USB a movie, Captain America 2 to be precise and the onboard speaker was sufficient but of course wasn't quality, the film itself was a DVD version and was very watchable on the screen to which I projected but obviously wasn't HD, it was more like the quality of pre HD Televisions. Where the Projector in my eyes was good for an option was for game consoles such as the Snes, N64 and Megadrive/ Original Xbox. The resolution was much more suitable for old style gaming consoles, again at the price you aren't going to chuck your TV away but for the portable option its a very good option to have. So its Verdict time, taking this projector as it is, what your getting for $45 or 30 pounds in my money is a very cheap entry level projector that has good clear menus, you will need a dark room and deffo a White Wall/Projector Screen or say a White Black Out Blind, on anything other than them it wont show up effectively. The picture you will see is not HD think old style pre HD television and that's the sort of picture you will see, I got about a 40Inch screen with the projector and where I thought it excelled was the old game consoles such as Snes etc, the built in sound was ok but your getting what you pay for, this is excellent if your giving slide shows or using it for displaying text. So if I was going to give this a score out of 10 I would have to give it a high 9 out of 10, the price is outstandingly cheap, I would have thought this would be a £100 minimum so amazing for what it is, one word about Gearbest, the shipping was very good, with tracking and good communication and they even asked if I wanted a different value which helps with avoiding those nasty additional charges, so a bonus there. Xbox 360 analog stick shape concave design, PS3 analog stick shape convex design and D-pad shape. To use the mini sticks, a player simply sticks it in place and starts. Works on Android, iPhone, iPad, iPod, most of the smart phones and tablets. Add a real physical mini joystick to your smart phone or tablet. Works with most of the games. Comes with suction cup - easy to attach or remove. Quality/Usability : Trying to play games using the on-screen joysticks is not the same. It doesn't feel comfortable after awhile. So XCM has released a joystick that attaches to your devices screen via suction. This offers a real physical mini joystick while you pay your games and it won't damage your screen as well. There are three different buttons. Concave which is similar to Xbox 360 controllers, convex which is similar to PS3 controllers and a D-pad for games that has directional movement. You're most likely going to be using the d-pad and the other button is your preference on whether or not you want to use concave or convex button. You might even want to use both and not the d-pad. The design is sturdy. Once the joysticks are attached to the screen, it won't move or fall off. As mentioned before, it won't damage your screen either because there is not sticky residue or anything permanent. To apply, simply pause the game, place the joystick over the on-screen controls and push down so that the joystick suctions to the screen. Want to remove it? Just peel up the suction cup and lift the joystick up. That's it. Conclusion : Overall, the joystick is a must have if you play games a lot on your smartphone or tablet devices. Its easy to install and easy to remove. The price is also very affordable at under $6. Just to remember to remove the buttons when you're done playing or it will be in your way. 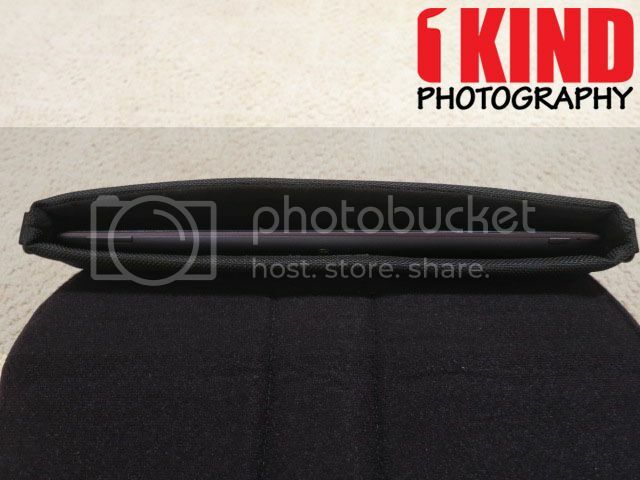 All your photography news, reviews and deals. Overview : You might have come across the problem to use the touch screen mobile in winter? XCM tattoo phone glove made just for iPhone, iPad and similar touch enabled device, it made of high quality material and built in the conductive contact place on the fingertip of the gloves (capacitive tips for thumb, index finger and middle finger), guaranteed to keep your finger snug and warm on that cold windy day, the XCM tattoo phone glove has a cool tribal tattoo design and almost always eye-catching. Made of high quality material and built in the conductive contact place on the fingertip of the gloves (capacitive tips for thumb, index finger and middle finger). Works on smart phones, tablets or other touch screen devices. Quality/Usability : Ever tried to use your smartphone or tablet in the blistering cold where your fingers freezes? What about trying to use your phone with your gloves on but nothing registers or your gloves are just too bulky? XCM has a glove that allows you to use your smartphone, tablet and other touch screen devices without freezing your fingers. 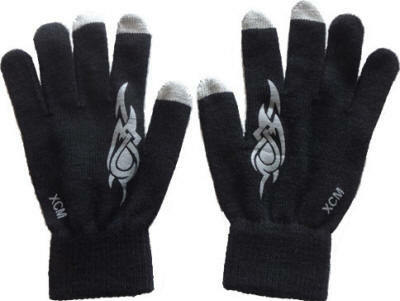 The glove is made of soft cotton/polyester material. From what I can see, it comes in one size and one color only. It does have 2 different tribal designs to choose from. In regards to size, I'm 5' 9" and I think I have average size hands and it was a bit snug but did stretch enough that my fingers were at the tip of the glove. On the thumb, index and middle finger, there are three conductive contact place on the fingertip of each glove. This allows you to swipe, select and even zoom in or out. Does it protect your hand from the cold and blistering wind? Yes. But don't expect it to be winter gloves where you can use it to throw snowballs. One thing I did notice was that if your hands get sweaty, the moisture will come through the glove and leave wet marks on your device. Conclusion : Overall, the gloves work fine. I didn't have any problems with it not swiping or pinch zooming. It would be nice if the gloves ran a little bigger or at least offered 2 sizes (S/M and M/L). 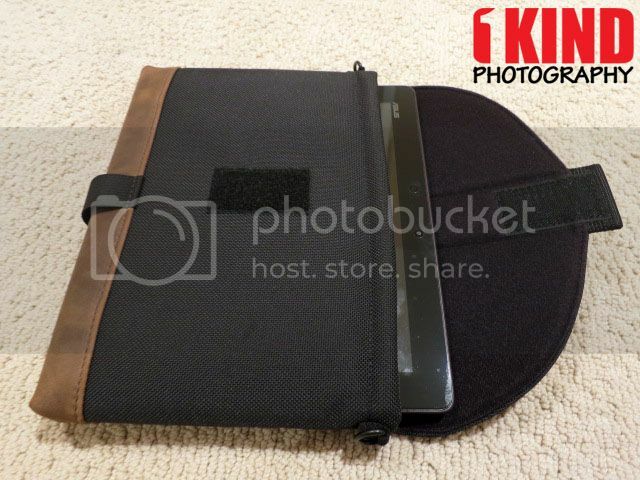 Overview : Ultimate Tablet Sleeve Protection. Safeguard your tablet with a properly fitted SleeveCase. Cushioned with high-grade neoprene and wrapped in a nearly indestructible ballistic nylon shell, the Tablet SleeveCase functions as a stylish stand-alone case or can be inserted into another bag. And no need to take your tablet out of its snug compartment when going through airport security—it's TSA Checkpoint Friendly. With its impact-resistant screen protecting insert and its scratch-free, screen cleaning Ultrasuede® lining, you're good to go. It's a slam dunk. Quality/Usability : For photographers, we need a way to show our portfolio to clients. Some still carry around a binder with printed images while others are going more towards the high-tech route and using tablets to show their work. As we transport our tablets or laptops to every location, we need a way to not only transport them but to make sure they don't get damaged. We do want to keep our devices as immaculate as possible so that it's presentable and not beat up. How you treat you items can also represent how well you maintain other items. Since I purchased an ASUS Transformer Pad Infinity, I needed a way to carry my tablet around. I do have a leather case but there's no strap or handle. I would have to carry it around like a textbook thus occupying my hand. 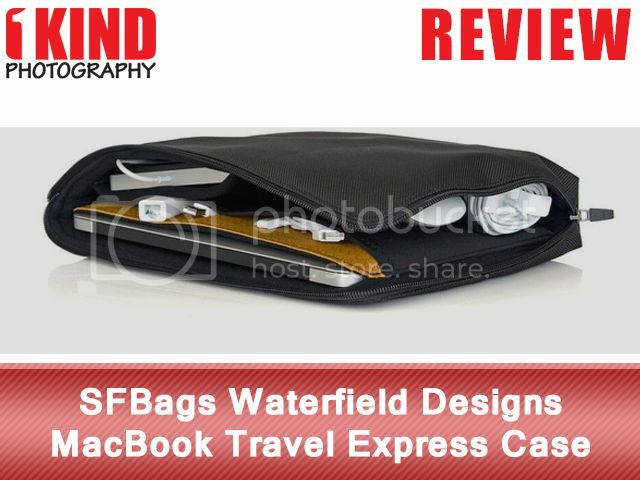 I wanted to see how the Waterfield Designs Ultimate Tablet SleeveCase would protect and hold my tablet. The Ultimate Tablet SleeveCase is made of ballistic nylon shell that will help protect your screen from impacts to the front. It comes only in black. The flap has velcro on it to help close the flap and to prevent the tablet from falling out. 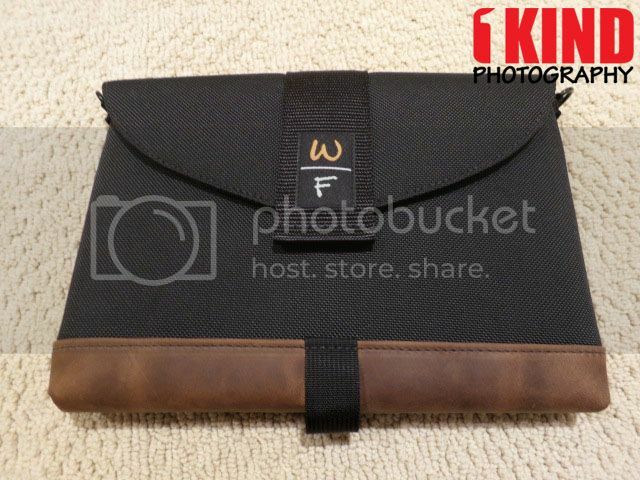 The backside has a sleeve pocket that is big enough to hold cables, notepad or magazine sticking out (vertical). It's available in two trim styles: lead indium and leather trim. The lead indium has a silver and black checker board look to it. The leather trim is just that, leather and costs an additional $6. The strap that is at the bottom of the sleevecase has a purpose. When you're pulling out the tablet, rather than holding the case, you would have one hand on the device and the other on the strap. This will allow you to pull the case away. You can also carry the case from this end but it is not recommended. 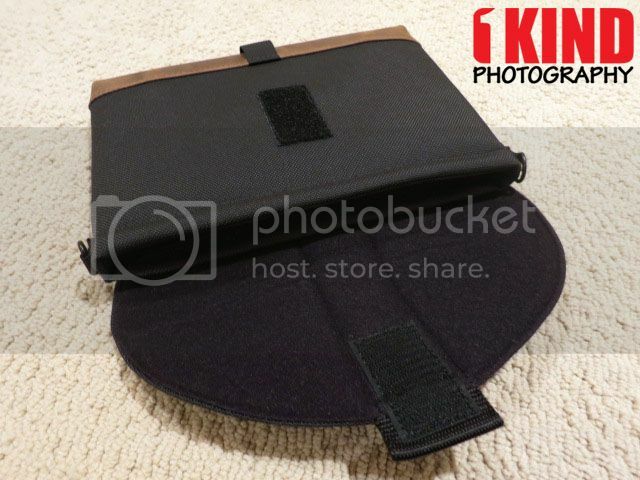 The flap cover is lined with Ultrasuede lining and is held closed with velcro. 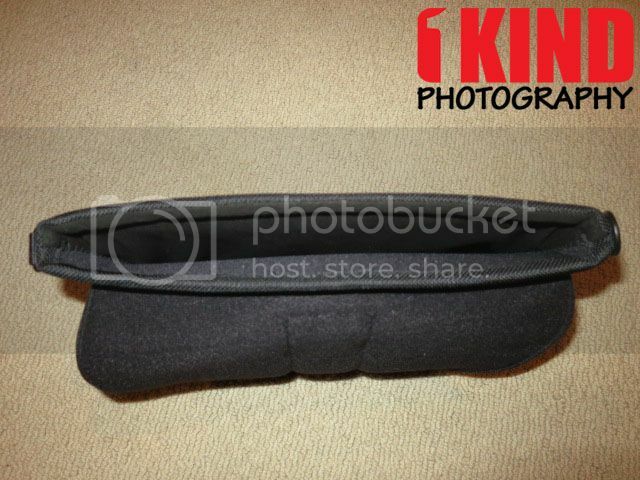 The interior is made of neoprene liner that helps protect the screen from impacts. 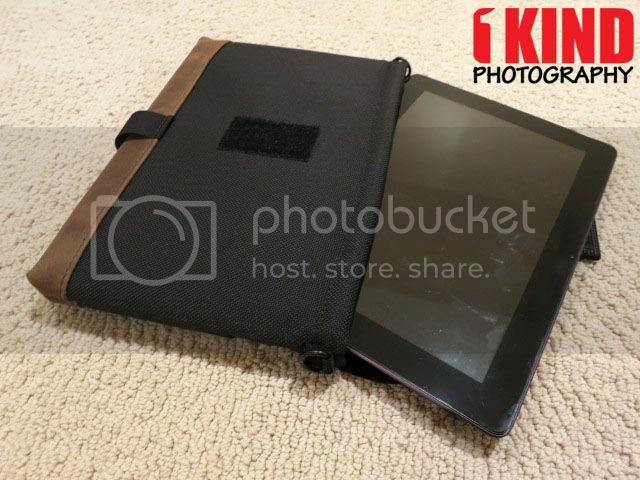 Also on the inside is a Ultrasuede lining that cleans the screen when you insert and remove the tablet every time. It won't remove everything but small particles like dust or crumbs. It's a perfect fit for the tablet. The Ultimate Sleeve Case are designed for tablets only with no accessories such as cases or covers installed. I personally like cases on my electronic devices to give it that extra protection. If you want to add D-rings to the case, it would be an additional $5. 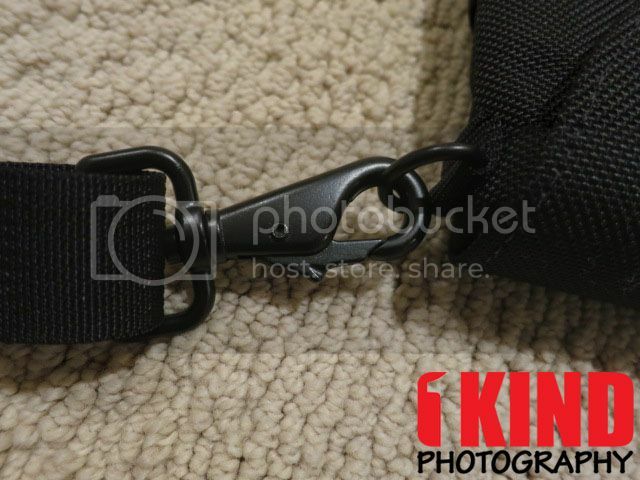 The D-rings allows you to attach a shoulder strap if you ever need one. For $12, you get a Simple Strap Mini for the case and for $22, you get the Suspension Strap Mini (pictured above). If you have your own strap, you can use that instead of buying their own. Both the D-ring and strap are are well made and sturdy. 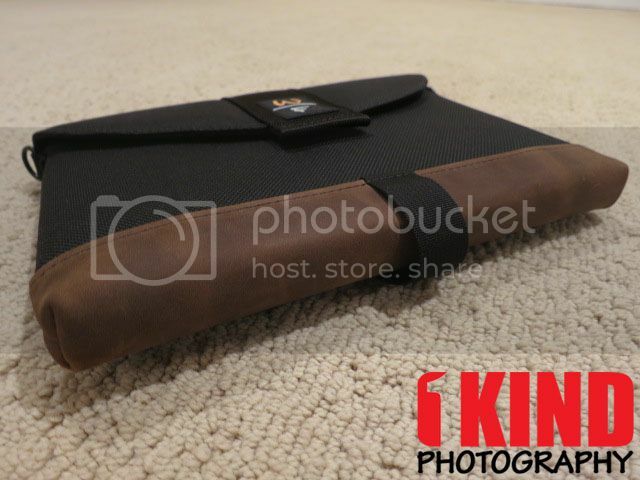 The Ultimate Tablet Sleeve is available for the Google Nexus, ASUS Transformers, Amazon Kindle, Barnes & Nobles Nook,Apple iPad, Samsung Galaxy Tab, Blackberry Playbook, Microsoft Surface, Motorola Xoom, Acer Iconia Tab and many more! 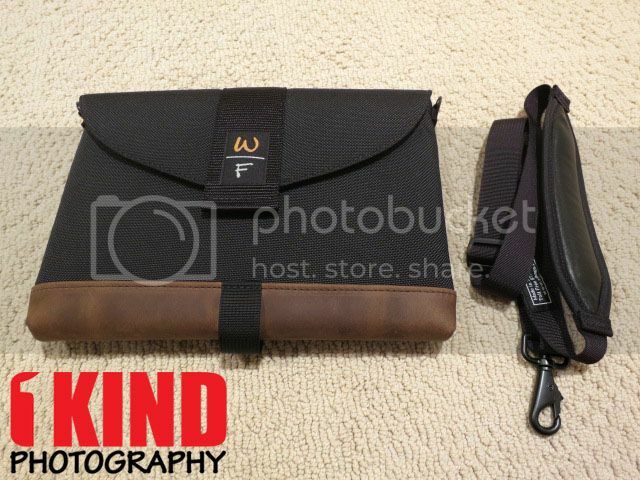 If you're unsure of the size, Waterfield Designs has great customer service. 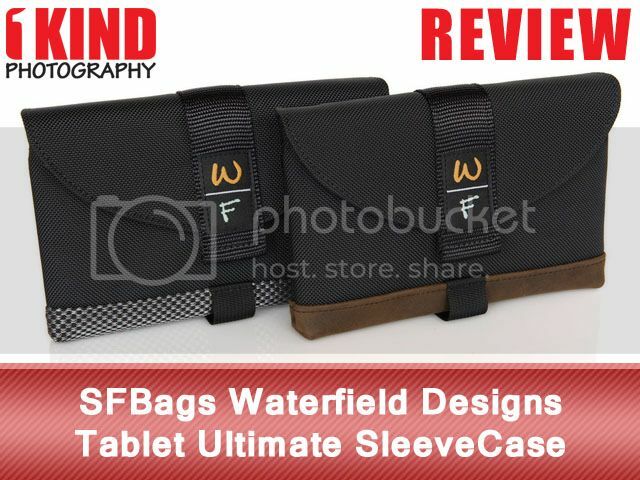 Conclusion : Overall, the SFBags Waterfield Designs Tablet Ultimate SleeveCase is a perfect fit for your tablet. 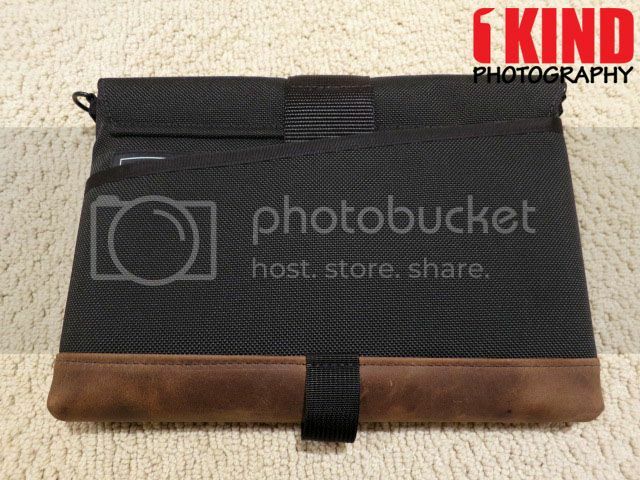 It protects your tablet and makes transporting it easier and more professional looking. The quality is top-notch and well made. Tonight its my great honour to bring back another of the great DCEmu Sites and this time its our DCEmu Reviews site. DCEmu Reviews is the worlds biggest independant Reviews site with over 500 reviews of console accessories for consoles such as the Xbox 360, Nintendo Wii, Nintendo DS, PSP, PS3 and many misc reviews. The XFPS PC Magic Box 2 allows you to use an Xbox 360™ (wired/wireless) and PS3™ controllers with PC games. Although the Xbox 360™ controller can be used on the PC but due to lack of keys remapping function, gamers may find the gaming controllers quite difficult to use on some PC games. The XFPS PC Magic Box 2 compliments this need. You're now able to remap any key on the keyboard to the game controller, using the right buttons/Trigger to shoot, the right button for punch or kick etc. and many more with the XCM PC Magic Box 2. This device is user friendly and also adds auto fire function. Let’s start to play the PC games in another mode! Supports both Xbox 360™ (wired/wireless) and PS3™ controllers with PC games. *NOTE: if using with Xbox 360 wireless controller, the Xbox 360™ PC Wireless Gaming Receiver must be required. Supports Xbox 360™ wired or wireless headset. You are able to re-map the keys on keyboard to the Xbox 360™ or PS3™ controller. PC will recognize PS3™ controller as Xbox 360™ controller, so the PS3™ controller can be able to use on all PC games. *NOTE: most PC games won't recognize PS3™ controller but XCM PC Magic Box 2 will trick PC into thinking a Xbox 360™ controller is plugged in. Xbox 360™ controller has better compatibility with PC. You can purchase this from Play-Asia and Amazon. It will be released December 2011 and will retail for $49.99.